The source of the law of contempt is the Common Law concept of the English Courts and their decisions. Its origin can be traced to the monarchy. The judges derived their authority from the monarch, and if disrespect was shown to a judge it followed that the monarch had not been venerated, a serious matter calling for action in law. Perhaps it can be traced back to the Ecclesiastical Courts, when ethics and law were not essentially distinct from each other, and any attack on the courts would be considered as malicious and mischievous. In England this power has been enjoyed by the Superior Courts. The power to commit summarily for contempt is considered necessary for the proper administration of justice. The English courts have held that the summary jurisdiction by way of contempt proceedings in which the court itself is attacked should be exercised with scrupulous care, and when the case is clear and beyond reasonable doubt. The path of criticism…is a public way. The wrong headed are permitted to err therein; provided that the members of the public abstain from imputing improper motives to those taking part in the administration of justice and are genuinely exercising a right of criticism, and not acting in malice, or attempting to impair administration of justice, they are immune (Ambard vs. Att. Gen. for Trinidad & Tobago, All India Reporter, 1936 PC 141). There was no statutory law of contempt till 1926. Indian courts followed the English Common Law. In 1926, the government enacted the Contempt of Courts Act XII of 1926, whereby the High Courts were given power to punish for contempt of courts “subordinate” to them. This was repealed and substituted by the Contempt of Courts Act XXXII of 1952, which has been replaced by the Contempt of Courts Act, No. 20 of 1971. The courts have made a distinction between libel and contempt of court: One is a wrong done to the judge personally, while the other is a wrong done to the public. If a judge is defamed in such a way as not to affect the administration of justice, he has the ordinary remedies for defamation if he should feel impelled to use them. The general principle is that contempt jurisdiction should be sparingly used “with the greatest reluctance and the greatest anxiety on the part of judges”. The publication (whether by words, spoken or written, or by signs, or by visible representations or otherwise) of any matter or the doing of any act whatsoever, which (i) scandalises or tends to scandalise or lowers or tends to lower the authority of, any court; or (ii) prejudices, or interferes or tends to interfere with, the due course of any judicial proceeding; or (iii) interferes or tends to interfere with, or obstructs or tends to obstruct, the administration of justice in any other matter (section 2.c). Broadly, these are the two categories of contempt. It has always been held that the Supreme Court and the High Courts have inherent powers to punish anyone for contempt, for the purpose of safeguarding the dignity of the court (articles 129 & 215 of the Constitution of India). A civil contempt is a failure to obey the court’s order issued for the benefit of the opposing party. A criminal contempt is conduct that is directed against the dignity and authority of the court. There is not much of a problem with regard to civil contempt, inasmuch as it is essentially a willful disobedience of the order of a court. However, in the case of criminal contempt, there has always been uncertainty with regard to “scandalising” the court. Very often the courts have not been able to distinguish between the scandalising of a judge, and the scandalising of the court. (d) A complaint against the presiding officers of subordinate courts, made in good faith (section 6). In all cases of contempt, the principles of natural justice have to be observed before any one is held guilty. First, there should be a notice to show cause to be served on the person charged with contempt. Secondly, the notice must contain the affidavits and any other material relied on in support of the action initiated. Thirdly, the person charged with contempt has a right to file an affidavit in support of his defence, and also to produce such evidence as may be necessary. Fourthly, the court will then pass an order, after hearing both sides (section 17). Under the rules framed under the Act, such a person has a right to be defended by an advocate. In the case of subordinate courts, the High Court has power to punish for contempt. There is a right of appeal from any order or decision of the High Court in the exercise of its jurisdiction to punish for contempt. If the order is of a single judge, the appeal is to a bench of not less than two judges. If the order is that of a bench, the appeal is to the Supreme Court (section 19). In the case of criminal contempt, there are certain additional requirements. The cognisance of criminal contempt can only be taken on the motion made by the Advocate-General or by any other person with the consent in writing of the Advocate-General (section 15). If the court is satisfied it shall frame a charge, and thereafter the case proceeds like a criminal trial. (d) Thereafter make an order of punishment or discharge him. Notwithstanding the above, the contemnor has the right to apply to the court to have the charge against him tried by a judge other than the judge or judges in whose presence or hearing the offence is alleged to have been committed. The court must then decide whether in the interests of proper administration of justice the application should be allowed or not. If the application is allowed, the proceedings shall thereafter proceed before the other judge (section 14). I think that this is what applies in the case of Mr Michael Anthony Fernando (see Appendix for further details). If a judge of the Supreme Court considers that the behaviour or conduct of any one in his presence amounts to contempt, he can at most detain him for the day, frame a charge against him, hold an inquiry—giving him an opportunity to defend—and only thereafter, if the judge thinks that he is guilty of contempt, punish him. If the matter is not over within that day itself, he may release the contemnor after taking a bond from him that he would appear on a day fixed for a hearing. Since the charge is akin to a criminal charge, it is proper that he should be offered a chance to have an advocate of his choice. It is also proper that if he applies for the matter to be heard by another judge, the same should be granted on the principle that no one can be a judge of his own cause. It should be noted that in every contempt law there is a provision for tendering an ‘apology’. If the contemnor tenders an apology to the court, he can be discharged or the punishment awarded may be remitted. Under Indian law, an apology shall not be rejected merely on the ground that it is qualified or conditional, if the accused makes it bona fide. Very often the matter gets worked out when the contemnor apologises. However, this should not mean that he has no right to defend himself. Under Indian law the maximum punishment is simple imprisonment not extending beyond six months, or a fine which may extend to two thousand rupees, or both. If Sri Lanka has no statute on contempt, I cannot understand how anyone can be punished for any period. The court may have an inherent power to detain a person till the rising of the court for the day. Any further detention can be ordered, if there is any statute providing for such detention. In my view, the imprisonment of Mr Michael Anthony Fernando ordered by the Chief Justice of Sri Lanka is without the authority of law. In short, it is illegal. The Chief Justice has no right to send any one to prison except in accordance with the law. Otherwise, he can only detain a person till the rising of the court. Personally, I am against this law of contempt. We do not require any such law for the administration of justice. If any order of the court is breached, it should have machinery to execute its order. The Civil Procedure Code and Criminal Procedure Code provide for the execution and enforcement of orders. As regards criminal contempt, the courts have generally failed to distinguish between scandalising the judge as a person, and scandalising the court. If a judge is criticised and the contemnor wants to justify his criticism on the basis that his allegations are true, he is not allowed to do so. Our courts have held that truth is not a valid defence in an action for contempt. In an action for libel, truth and public good could be a valid defence, but not in an action for contempt. In the UK, the statutes have been amended on the recommendation of the Phillimore Committee to provide for truth as a defence to a charge of contempt by scandalising. In the US the courts have evolved a more liberal standard of “clear and present danger” to the administration of justice. In many countries, such as Norway and Sweden, there is no contempt law. If a judge is “scandalised” it is for him individually to take action for libel or slander under the ordinary law. The dignity of the court is in no way affected by any comment on the judges. Judges earn their reputation not by what others say, but by their own utterance, by their acts of commission and omission. 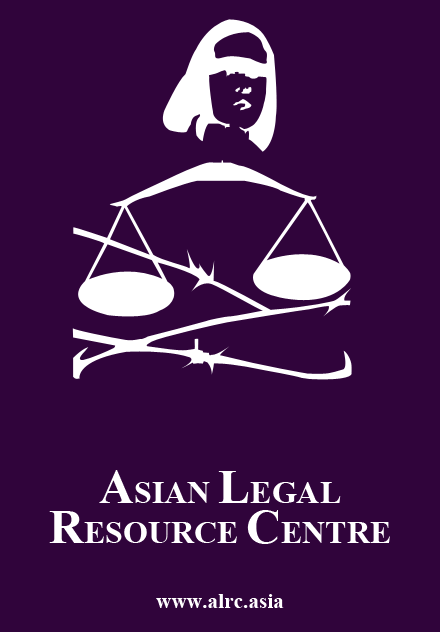 The Asian Human Rights Commission (AHRC) has carefully studied the complaint of torture made by Michael Anthony Emmanuel Fernando on 16 February 2003, and the contempt of court case against him. We reproduce below the full judgement of the Supreme Court of Sri Lanka on the contempt of court conviction that led to Mr Fernando being sentenced to one years’ rigorous imprisonment. Petitioner is present in person. The petitioner has been asked to show cause as to why he should not be dealt with for contempt of Court. [The] Court, accordingly, found him guilty for contempt of Court and sentences him to one year’s rigorous imprisonment for contempt of Court. Registrar to inform the Prison Authorities to arrest him. 4. A judgement containing the factual and legal basis on which it had been arrived at, giving a summary of the evidence against Mr Fernando. 5. Right to appeal the court’s decision. The reason for this outcome is that the fundamental norm that respondents and judges should not be same has been violated. The fact that one of the respondents to Mr Fernando’s claim sat in judgement of him undermines judicial objectivity. It is a well-accepted norm that the judges should not only be impartial but also be seen to be impartial. The purpose of contempt of court proceedings is to enhance the prestige of the court. This particular judgement achieves the opposite. 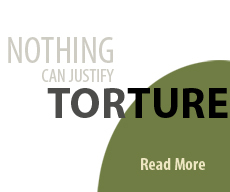 AHRC has also studied the complaint of torture suffered by Mr Fernando and is satisfied that there exists a credible complaint that should be investigated by an impartial body. However, as Mr Fernando is in hospital under remand custody, and chained even there, it is virtually impossible for him to participate freely at such an inquiry. He is under enormous pressure. AHRC has also learnt that even proper clothing has not been provided to him. Despite officials’ claims, the family still does not have proper access to Mr Fernando. Meanwhile, he has stated that attempts have been made to fabricate evidence and to deny that injuries to his spinal cord were due to an assault while he was being taken to prison. 4. That the UN Special Rapporteurs on the independence of judges and lawyers, human rights defenders, and torture, international human rights organizations and international judicial organizations take up this case with the Government of Sri Lanka with the utmost urgency. The news that Justice Mark Fernando has decided to resign from the Supreme Court of Sri Lanka two and a half years early is of grave concern. Observers believe that Justice Fernando has been sidelined and unfairly treated within the Supreme Court. In recent years the Chief Justice has excluded him from hearings relating to the constitutionality of bills before the Parliament. This is the same Chief Justice who headed a bench that imprisoned the lay litigant Michael Anthony Fernando for contempt of court. 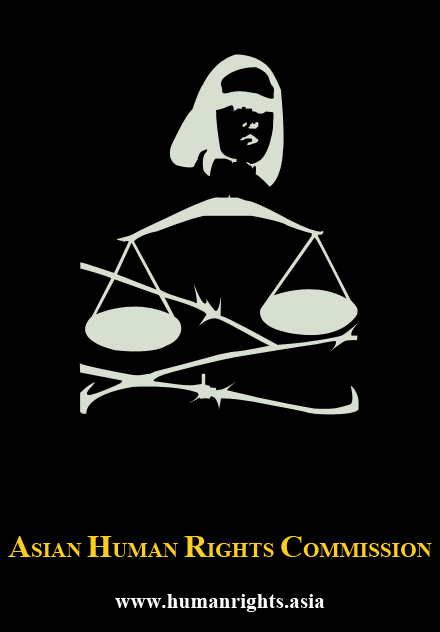 The UN Special Rapporteur on the independence of judges and lawyers, Mr. Param Cumaraswamy, referred to that decision as an “act of injustice”. Under these circumstances Justice Fernando’s resignation can be seen as an act of protest. Justice Fernando has consistently upheld the rights of Sri Lankan citizens, especially those of the victims of human rights violations. Since joining the Supreme Court in 1988 he has observed the highest levels of independence and integrity, maintaining principles of impartiality, fairness and justice at all times. Now, when the rule of law and administration of justice need thorough reforms, it is extremely important that judicial officers of Justice Fernando’s calibre continue their work. His premature retirement can only have an adverse effect on the rule of law in Sri Lanka and may further diminish the citizens’ trust in public institutions. The Asian Human Rights Commission appeals to Justice Fernando to reconsider his decision to resign. His presence in the Supreme Court is desperately needed. The Government of Sri Lanka and other judges of the Supreme Court must assure Justice Fernando that he will be treated equally and will be given the opportunity to function fully in keeping with his role as a justice of the Supreme Court. Editorial note: Michael Anthony Fernando was released from jail on 17 October 2003, to a hero’s welcome. He was greeted by, among others, the former UN Special Rapporteur on the independence of judges and lawyers, Mr Param Coomaraswamy. He gave a speech in defiance of the Chief Justice of the Supreme Court, which was reported on nationally. He was then presented the Asian Human Rights Commission’s inaugural Human Rights Defenders Award. 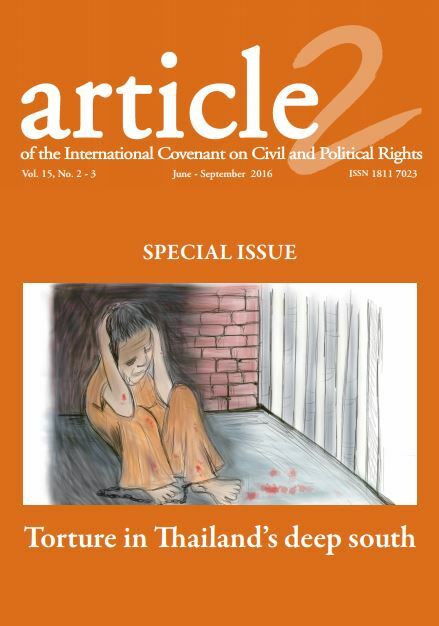 For more details, please see ‘Asian Human Rights Commission presents inaugural Human Rights Defenders Award to Michael Anthony Fernando’, [http://www.ahrchk.net/statements/mainfile.php/2003statement/126/].